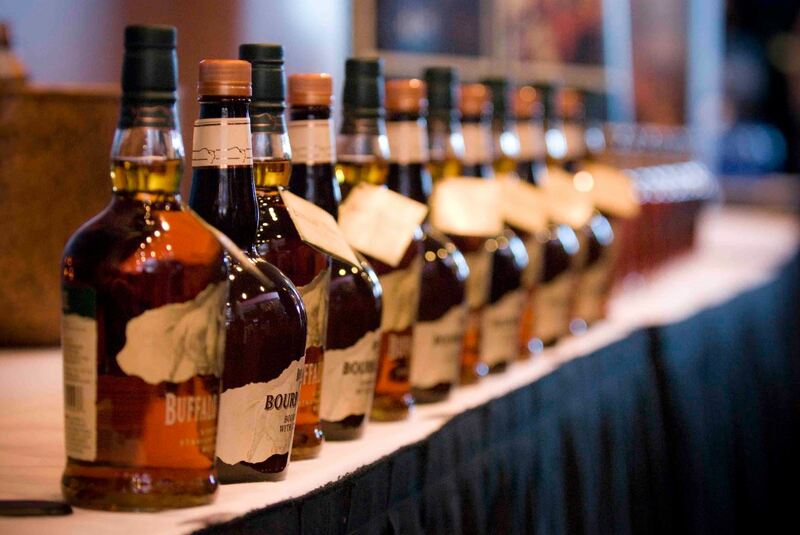 Friday and Saturday, Feb. 20 and 21 the third annual Bourbon Classic at the Kentucky Center for the Performing Arts, 501 W. Main St., will bring together distilleries, chefs, bartenders and spirits experts of all sorts to enlighten and entertain anyone who likes to sip some classic Kentucky booze. On Friday, there will be the “From the Barrel to the Bar: Bourbon Classic Cocktail Challenge” in which teams of bartenders and chefs from some of the top bars and tables in town will compete to concoct the perfect cocktail and pair it with a small plate of bar food. Two rounds will pose challenges in classic cocktail making, 7-8:30 p.m., and contemporary bourbon cocktail ideas, 8:30-10. From 7-10 p.m. both nights Michter’s Bourbon will sponsor the VIP-only Amber Lounge which features special bourbon tastings. Saturday events include a number of “break-out” sessions, where you can choose the topics to delve into in detail. Topics will include F&D writer Steve Coomes discussing “Country Ham and Bourbon” with ham maker Jay Denham and Megan Breier, from Suntory; Michael Anderson of Hawthorn Beverage Group pondering “Essential Bourbon Cocktails: Past & Present;” and “Bourbon & Cheese Pairings” with Tim Gaddis of Many Fold Farm and Seth Thompson of The Bourbon Review, one of the sponsors of the event. There will be many master distillers and brand representatives throughout the day to talk with, to discuss topics such as Bourbon flavor profiles and the new hobby of collecting rare Bourbons. Saturday evening, 7-9:30 p.m. “The Ultimate Bourbon Experience” will offer more tastings of bourbons and food to complement the bourbon tasting experience by chefs such as Shawn Ward of Ward 426, Coby Ming of Harvest, Holly Hill Inn’s Ouita Michel and Proof on Main’s Levon Wallace. To purchase tickets, call the Kentucky Center for the Arts at (502) 584-7777 or go to the website.